Just because your extra stuff is out of sight doesn’t mean it should be out of mind. To protect yourself against total property loss in the event of a fire, flooding, or theft, check with your homeowner’s or renter’s insurance provider about self-storage insurance. You can also check with different storage facilities in Capitola about tenant insurance, which is usually offered for a minimal monthly fee that is combined with your rental fee for one easy payment each month. This small investment can pay huge dividends if your belongings are damaged, destroyed, or stolen. If you have any questions at all about self-storage insurance, talk to an experienced storage facility manager in Capitola. Even with an insurance policy, you can never be too careful with your belongings. That’s why it’s important that you choose a secure storage facility and always make sure to close and lock your unit’s roll-up door. If you have a lot of stuff, you probably have to sacrifice a lot of valuable space in your home for storage. 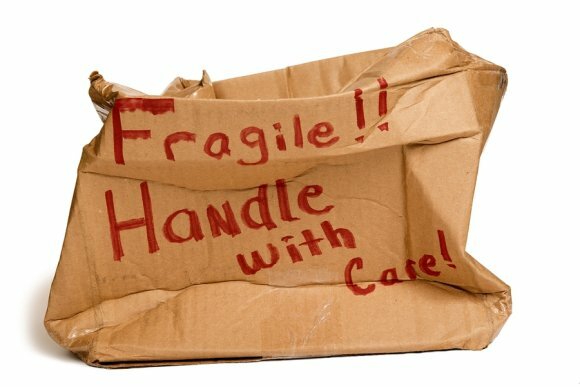 Fortunately, there is a safe, affordable, and convenient alternative to storing your belongings at home. A self-storage unit is a storage space that you may rent on a monthly basis in order to store your personal belongings. If you’d like to more about renting a storage unit in Capitola, start with these frequently asked questions and then contact a storage facility manager in your area to determine what size unit you need. Can I Store Anything in My Unit? As a general rule, any item or material that is considered inherently dangerous will not be allowed in your storage unit. The most common examples of such items include gasoline, compressed gas, propane tanks, chemicals, narcotics, and products containing asbestos. Your storage facility manager will provide you a complete list of allowable items. You will be able to access your storage unit anytime while the gate is open. When comparing storage facilities in Capitola, look at the gate hours so you know which facilities offer the most convenient access. At Independence Storage, for example, the gate is open every day of the week from 7 a.m. to 7 p.m. for your convenience. Are My Belongings Safe in Storage? The safety and security of your belongings depends on the storage facility you choose. For greater peace of mind, choose a gated storage facility with an electronic keypad entry and on-site managers. You should also keep a strong padlock on your self-storage unit for added security. To make sure you don’t pay for more space than you need, and that you don’t run out of space on move-in day, carefully consider the size of the unit you select. The best way to determine your space requirements is to make a list of the items you plan to store and bring the list to an experienced storage facility manager in Capitola. 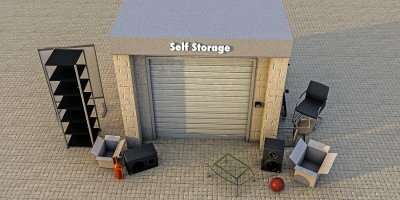 There are many reasons to move your items into a self-storage facility. You may be preparing to move, traveling overseas, or simply trying to organize your belongings. To ensure that you have a great storage experience, be sure to rent a unit at a highly rated self-storage facility in Capitola . There are many signs of a quality facility that you should look for. For example, look for a secure storage facility that offers surveillance, gated entrances, and fences. High-quality storage facilities also provide ground-floor units that are easily accessible. For a closer look at all of the top signs of a quality storage facility, be sure to check out this video clip.